Listening activity which may be used as a warm-up or a follow-up activity to practice the simple past tense. 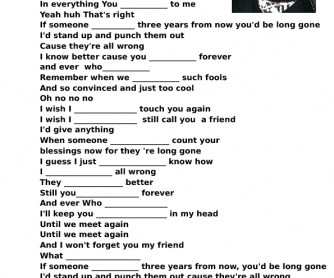 Students listen to the song and try to write the correct forms of the verbs in the blanks. After checking the answers, they may talk about the story of the song. Good for grammar and listening/speaking lesson.